A dedicated attack ship, the Tector traded its ventral hangar bay and accompanying fighter and ground support for increased armor and shields. 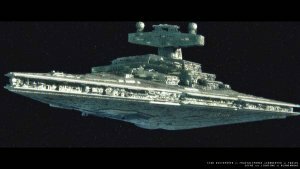 While not as versatile as the standard Imperial Star Destroyers, Tector class ships were even more powerful in ship to ship combat. It was one of the few Imperial ships that could assume superiority even over the renowned Mon Calamari MC-80 and 90 Star Cruisers.